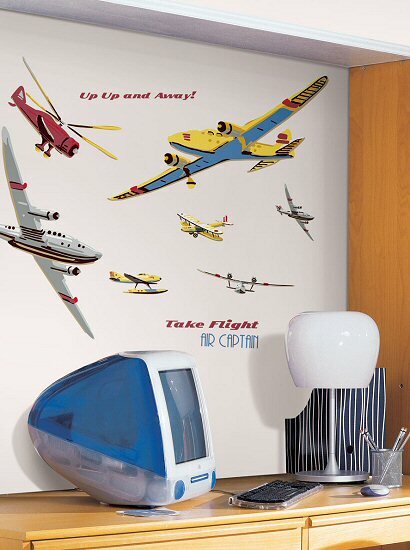 Transform your child's room into an aviator's dream with these amazing Take Flight MegaPack wall decals. 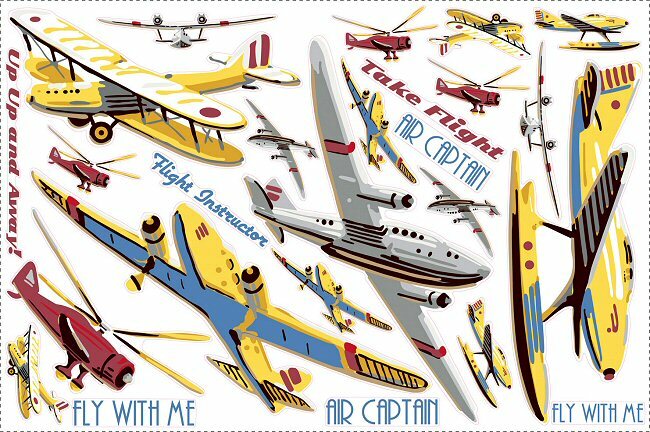 Packed with enough wall stickers to fill a room, including colorful vintage planes, helicopters, and aircraft of many varieties, this RoomMates MegaPack Take Flight peel and stick wall mural set will have your aviator's imagination soaring! This RoomMates MegaPack Take Flight peel and stick wall mural kit includes giant wall decals and a ton of small wall decals for a total room makeover! Repositionable, removable, re-usable, and washable, these Take Flight MegaPack wall decals are perfect for transforming a room with ease while leaving no damage or residue on the surface.